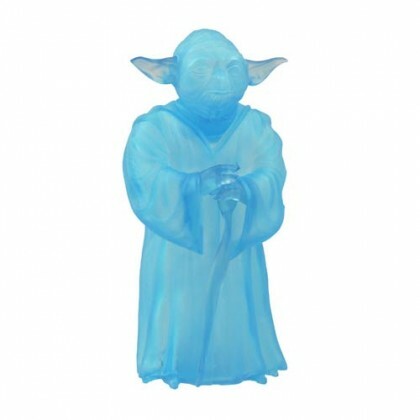 Star Wars Spirit Yoda SDCC Exclusive Quarter Scale Vinyl Bank A Diamond Select Toys Release! DST's 7-inch Yoda bank returns in spirit form, as a translucent blue vinyl figure exclusively available at SDCC! In scale to previously released Ultimate Quarter Scale action figures and banks, this new limited edition of the original Yoda bank includes a separate cane accessory, and has a coin slot on the back as well as an access door in the base. Limited to 1000 pieces. Packaged in a clear polybag. Sculpted by Oluf Hartvigson!